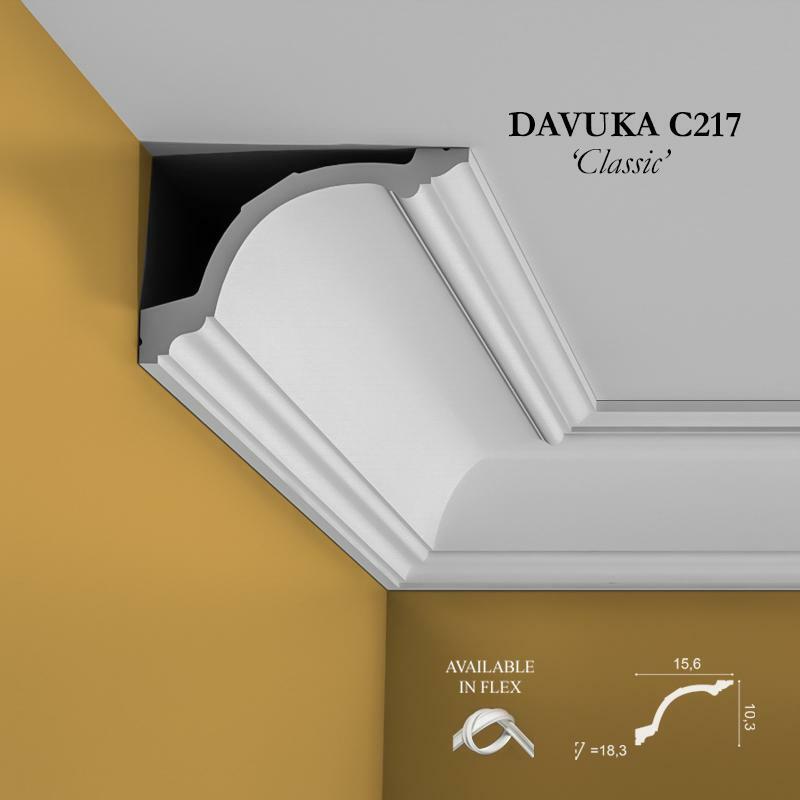 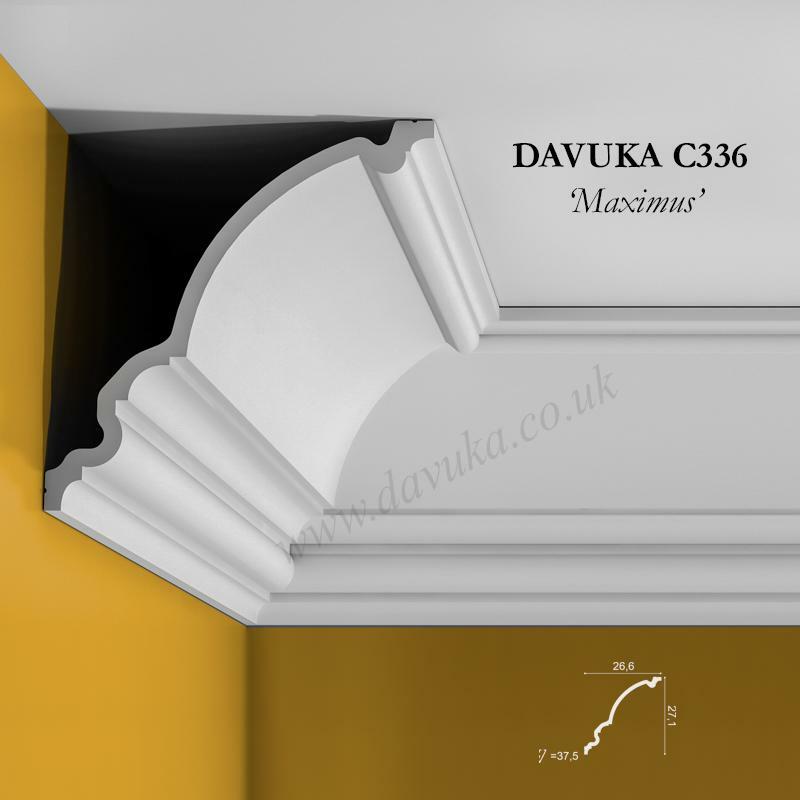 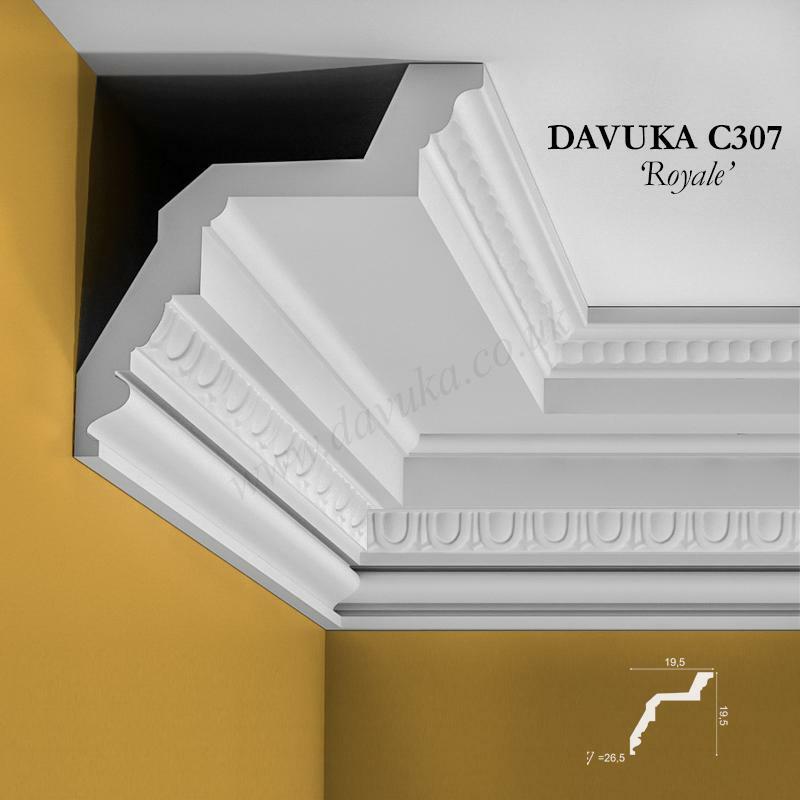 The Xtra Large cornice version from our composite range (see also C321, C332 and C339) that merges both modern and classical styling. 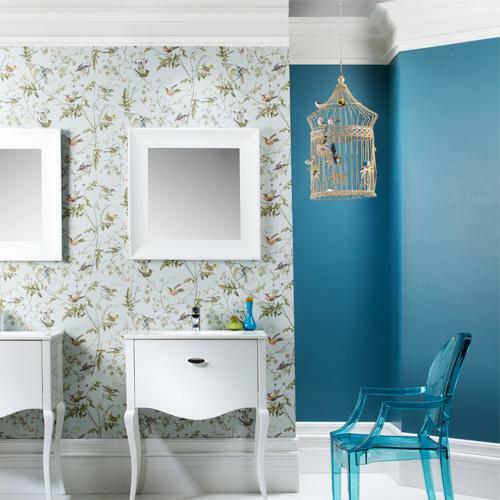 For the largest of rooms to provide the biggest of ‘wows’. 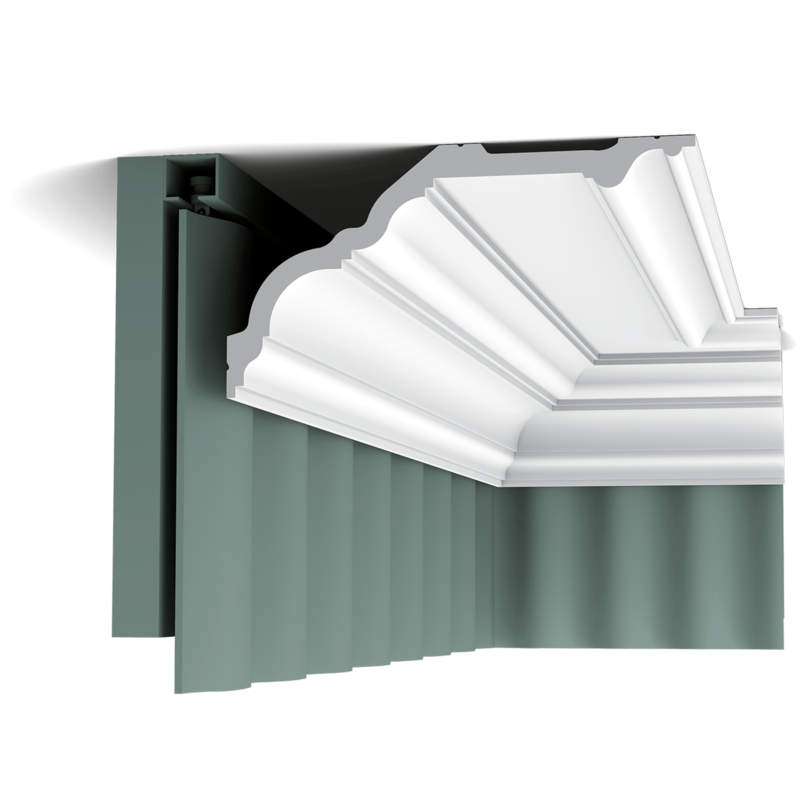 Use as a Curtain Profile (i.e. 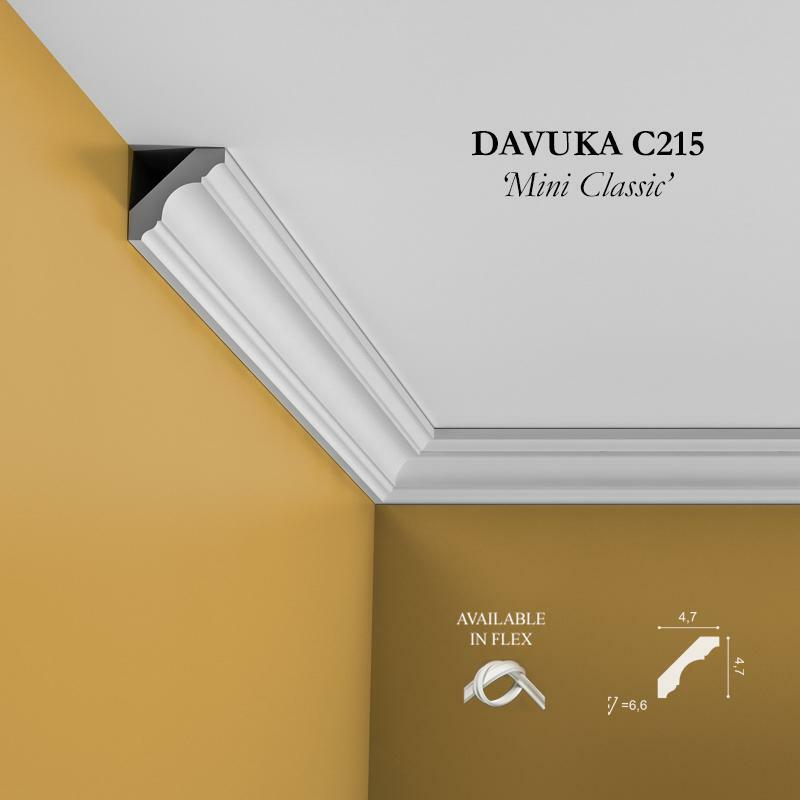 hiding a curtain rod/rail), by installing with the section with the 2 mounting points attached to the ceiling (see separate images). 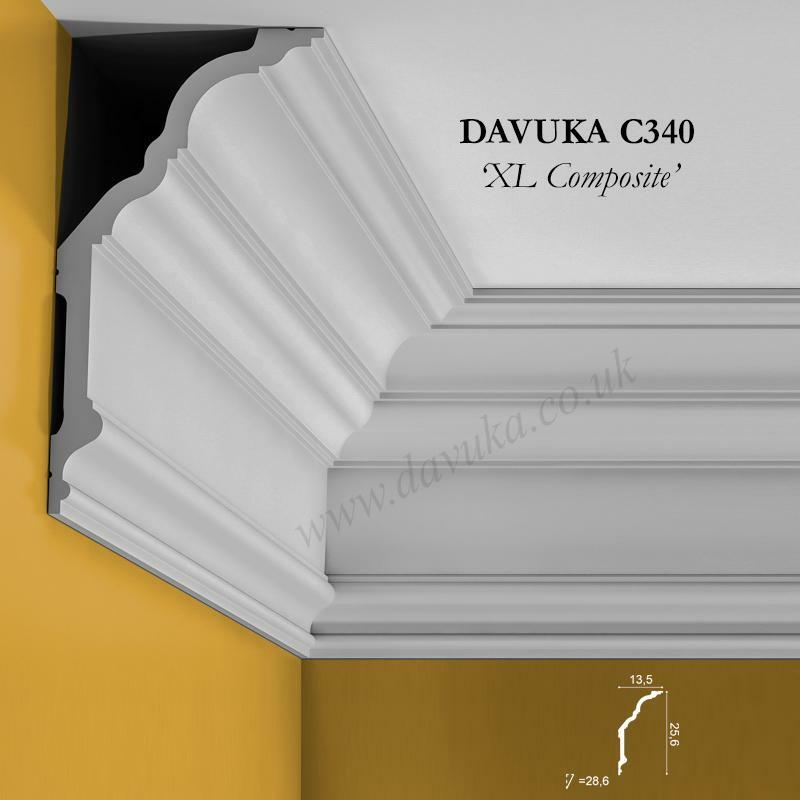 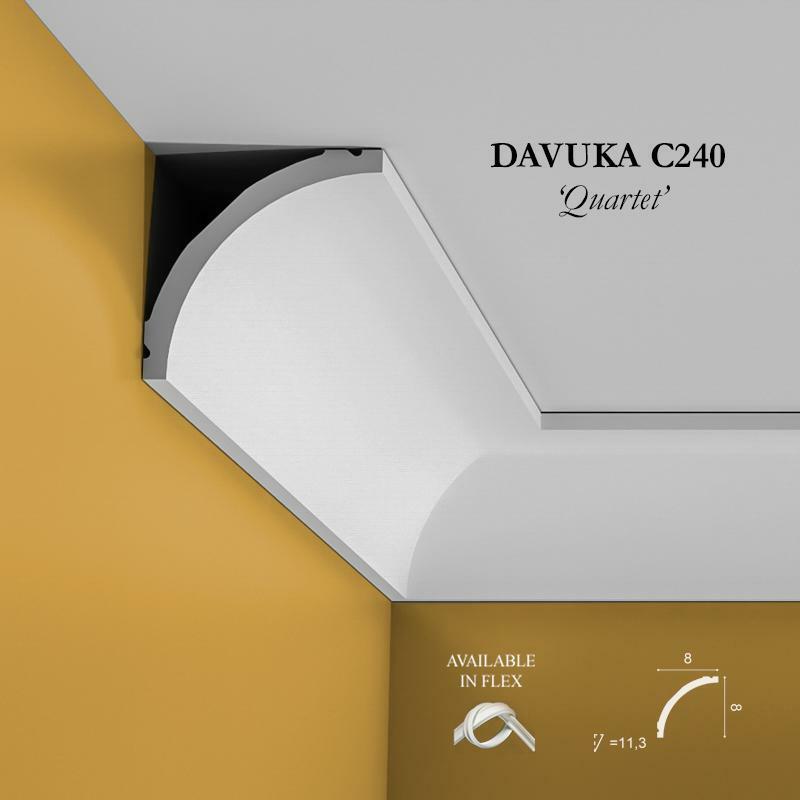 Using Correct Adhesives for the C340 ‘XL Composite’ cornice – IMPORTANT!